Relocating the office to Gran Canaria for a week or two and enjoying a working retreat in the sunshine has plenty to offer companies in search of a little seasonal respite – and some high quality R&R. When it comes to choosing the destination for your company retreat Las Palmas ticks all the boxes. A modern, vibrant city, it’s the joint capital of the Canary Islands and home to what’s consistently described as one of the best urban beaches in the world. Gran Canaria has always been popular with Europeans looking to escape the winter back home. With temperatures rarely dipping below 20 degrees, pretty much every day of the year is a beach day. But over recent years that appeal has extended to the tech community, with the island becoming a hub for digital workers, startups and scaleups. So it’s no surprise to see a growing number of companies joining us in Las Palmas for team breaks, workations and company retreats, a city their staff can enjoy, relax and – most importantly – be productive in. Airbnb and Transferwise are probably the best known of recent visitors to the island, booking out suites of managed office space to house their employees for a spell of team building, coworking and fun in the sun. But they’re not alone. Here at The House, we’re regularly hosting offshore companies, who book out our serviced offices or a block of coworking desks, for between 1 and 4 weeks at a time. They use the space to bring remote teams together, collaborate on new projects or simply reward their staff with a change of scenery and the chance to work by the beach for a while. Speaking with the team from Transferwise, who are normally based in London, it’s clear that the island’s many natural attractions played a big part in their decision to visit us. 9 of their UK developers spent two weeks at The House in November and – like many of the companies taking a workation in Las Palmas – when they weren’t busy coding they took full advantage of the outdoor activities on offer. Gran Canaria has great diving, several excellent surf spots and – along its east coast – some of the best wind and kite-surfing in Europe. For outdoor enthusiasts, mountain lovers and hikers, there are are countless trails, peaks and remote coastal paths to explore. If all you want to do is sit back and relax, the island has more than 60km of beaches, ranging from the chic, urban Playa de las Canteras in Las Palmas, to the bustling resorts of the south and the remote charms of its western shorelines. Wherever you go on the island, you’re never far from a good restaurant or bar, but in Las Palmas the choice is exceptional. Workationers love the area around Las Canteras, with its eclectic mix of upmarket eateries, rooftop cocktail lounges and intimate bars. Dig a little deeper, in areas like Triana, Vagueta or Isleta and you’ll discover another side of the city and some fantastic places to eat, drink and party. 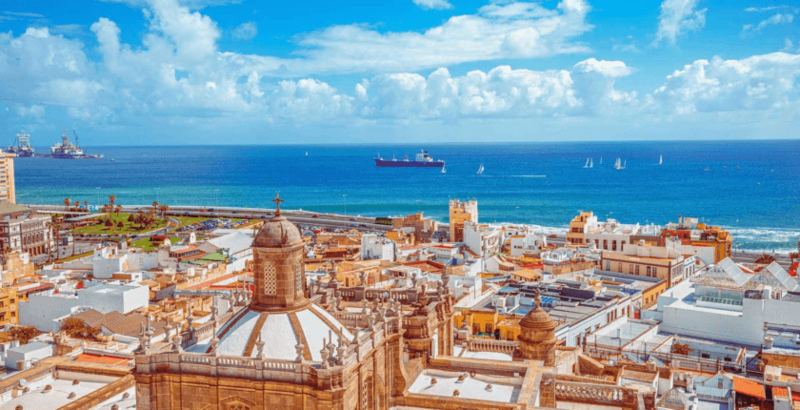 As the joint capital of the Canary Islands, and their defacto commercial hub, Las Palmas is a world class city, with a distinctly Mediterranean flavour. Thanks to its popularity as a tourist destination, air travel to the islands is cheap, with superb connections to all major hubs and many regional airports across Europe. At The House we provide tailor made workation packages lasting from 3 to 28 days, catering for teams of up to 25. We don’t offer set packages. Instead we’ll discuss what you’re looking for first and repurpose a space to match your needs. We’ve carefully renovated what was once government administrative building, into a spacious and creative coworking environment, with all the comforts of your office back home and full access to our facilities, including kitchen, coffee bar, breakout spaces, roof terraces and even a BBQ. If you need help with accommodation, transport or booking, we can assist and throughout your stay we’ll be on hand to ensure you and your team have everything you need to be productive. For more information on organising a workation in Las Palmas, booking out an office in The House or the facilities we provide, give us a call and ask for Yvonne. If it’s easier, you can send us a message here. Why choose Las Palmas for your company retreat or workation? As Transferwise become the latest company to choose Las Palmas – and The House – for their company retreat, we took the opportunity to ask their European development team why they chose to spend some time with us. 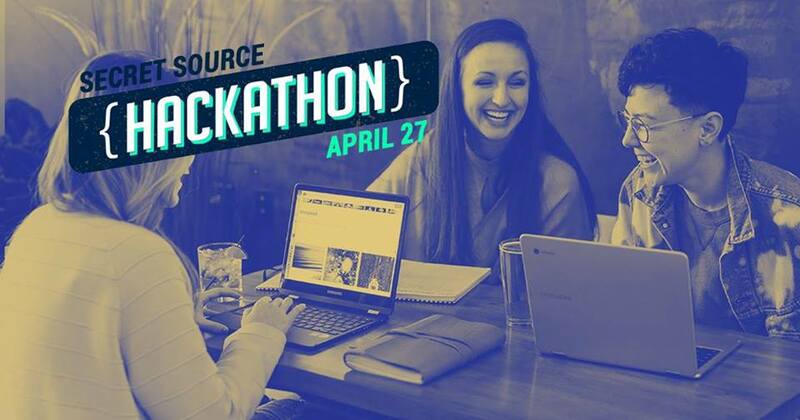 Part team building exercise, part getaway in the sun, the Transferwise developers usually work together in the company’s London headquarters and used their 1 week Canarian workation for a brainstorming hackathon, while continuing with their normal projects and business as usual. 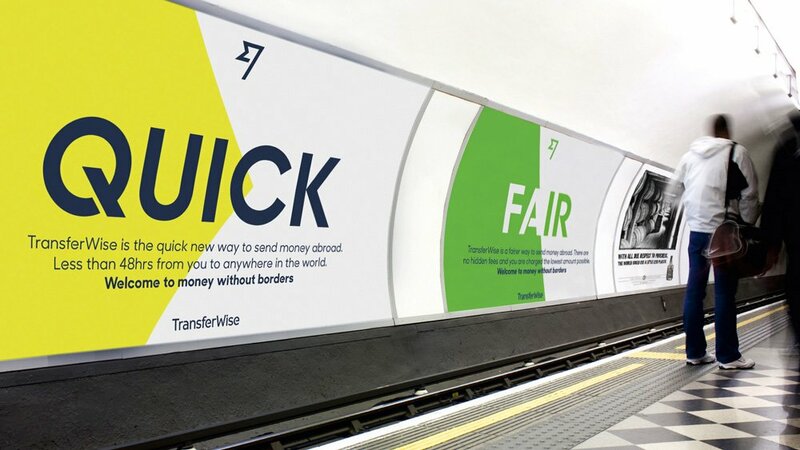 Many teams within Transferwise choose to reward their London-based workforce with a break every year. Because few have family commitments, or reasons not to travel, the company are usually free to search a little further afield than the UK. Gran Canaria makes an obvious choice. Warm all year round, lots to see and do, great food and drink, reasonably priced accommodation and a typically European way of life, are all reasons that influence everyone’s decision to visit the island. As is the fact they’re just a 4 hour flight from London. 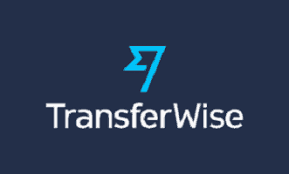 But for Transferwise, who wanted to spend 7 working days away from their regular surroundings, it was also really important they had access to a high quality working environment, with all the facilities they enjoy back home. Somewhere their employees could be comfortable and productive. The company are no stranger to the idea of workations having previously visited cities including Barcelona, Madrid and Athens. So they had a strong idea of what their people needed, in terms of both accommodation and a place to work. They chose a large family villa, on the outskirts of the city as their base for the fortnight. And The House fitted their requirements for a temporary office space perfectly. Mixing a large coworking space with serviced office units, in a huge three storey building, has allowed us to combine the best elements of a large agency atmosphere with the intimacy and collaborative vibe of coworking. Having lots of communal areas, like the coffee bar, lounges, meeting and conference rooms, terraces and kitchen / diner provide our guests with the chance to break away from their desk, meet new people, share ideas or just relax. The ability to take adjoining offices, with a connecting door, meant the Transferwise guys could enjoy the best of both worlds; their own private working and breakout area, within a larger creative environment they had completely free access to. Although they’d originally planned to take advantage of the island’s superb potential for outdoor activities, like surfing, diving and mountain sports, the London team seemed more than happy to just hang out and be productive in their temporary office, or chill round the pool at their villa. They did manage to hit the beach at Las Canteras most days and enjoy plenty of great food, in some of the many excellent restaurants and bars of the city’s Triana district, just across the road from The House. Providing the facilities for company retreats or workations is something we’ve only been able to offer since moving into our new building. Now we have the space and flexibility to host teams of up to 20, in offices repurposed to match their own specific needs. We’re still learning. Testing out new ideas, listening to companies like Transferwise and improving our existing services. We’re constantly investing in new technologies or equipment to make our lives easier and more productive. Hopefully, we’ve already created a great environment for everybody who chooses to work here, but we’re only going to get better. Thinking of a company workation? Las Palmas is a superb city to relocate your employees to for company retreats. It offers everything you’d expect from a modern, vibrant city and at The House you’ll find a productive, comfortable and well equipped office space to perfectly match your needs. Why not give us a call to discuss your company’s needs and we’ll create a package to match them. If you prefer, follow this link to send us an email and tell us what you’re looking for. Hosting a seminar or meetup in Las Palmas? We have just the spot. The large basement area we have at The House is proving a popular venue for developer’s meetups in Las Palmas, with more and more groups booking out rooms for networking events, as well as our own hugely popular weekly series of Ted’s Talks. Ted’s Talks at The House are hosted by local web guru Ted Stresen-Reuter, CTO at Secret Source, or one of his team, and typically cover various aspects of their work as a UK-facing development company. Topics so far have included; PHP, Ruby on Rails, REACT, AI, CRAP web design, managing workload and publishing. We’re trying our best to keep a healthy balance of pure development and non-dev subjects. If you’re in Las Palmas and you’d like to join us one thursday afternoon, you’ll be more than welcome to join us. Better still, if you know your stuff and you’d like to share your knowledge with our coworkers, get in touch and we’ll book you a slot. Likewise, if you’re hosting meetups in Las Palmas, we have plenty of space and a wide choice of rooms available. There’s even a quiet, shady roof terrace with lots of seating, if you’d like to meet outside. Find out more on all upcoming events at The House on our Facebook page or at the Meetups website here. Wondering where to work from next or looking for a suitable place to kickstart your new career, as a location independent professional? Quoting a survey of jobbing digital nomads earlier this month, business website Forbes listed the top 11 locations to work in the world. And our own hometown of Las Palmas, on the island of Gran Canaria, makes the list at number 5, just behind Playa del Carmen in Mexico, Thailand’s Koh Lanta, Taiwan’s Taipei and Czech capital Prague. What makes Gran Canaria so appealing, when you have the entire planet to choose from? With no real winter to speak of and a vibrant expat community in residence, Las Palmas actually topped the Forbes chart when respondents were asked for their year round preference. 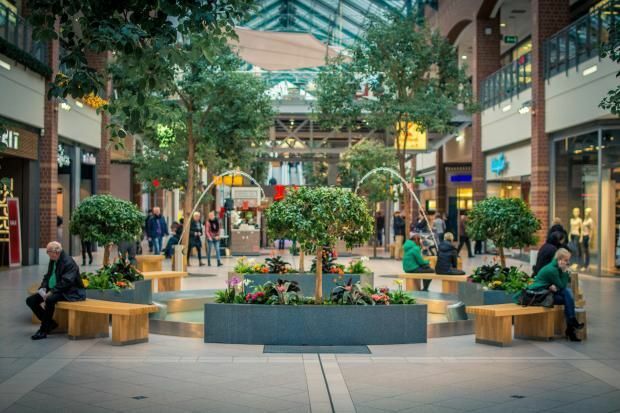 High speed internet, reasonable living costs, plenty of affordable accomodation and a distinctly European vibe (without the weather) have seen the city become a melting pot of different nationalities over the last decade. But it’s not just favourable working conditions that make the island so appealing. Apart from work, what else is there to do on the island? With temperatures rarely falling below 20 degrees, a distinct absence of rain and some of Europe’s most dramatic mountain scenery, Cycling Weekly devoted a large part of their 2018 winter cycling guide to the island. 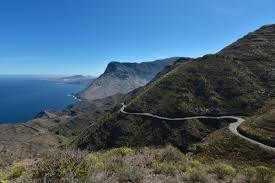 Empty roads, superb riding surfaces and plenty of challenging climbs were just some of the attractions mentioned, support what we already knew – that Gran Canaria has some of the best cycling in the world. If getting out on the bike sounds too much like hard grind, you may prefer the more relaxing pastime of wine-tasting. While they may not be as well-known as those on neighbouring islands, news website Delano visited several of Gran Canaria’s 60+ vineyards (or bodegas), where visitors have the chance to experience a way of life that goes back generations and, more importantly, some of the surprisingly drinkable local plonk. Is it really worth ditching your 9-5 and taking up the digital nomad lifestyle? The short answer is yes apparently, after a study by outsourcing website Upwork and the Freelancers Union found freelancing has a bright future. So bright in fact, that over the last 2 years the number of people choosing to go self-employed in America alone has grown by more than 30%, contributing in excess of $1.4 trillion to the American economy in the process. 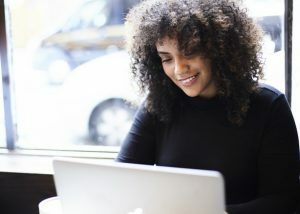 Changing attitudes among both employees and employers, mean more companies are opening up to the idea of staff working remotely, outsourcing entire projects to offsite teams and even filling vacant positions with remote workers. That’s the claim made by employment website Lexology, in a report that warns of an impending global talent crunch which could result in as many as 85 million unfilled vacancies before the end of the decade. One of the areas predicted to suffer hardest is the tech sector, which is music to the ears of remote workers everywhere. Cheap flights and increasingly fast internet speeds make it cheap to travel and possible to work from almost anywhere. In effect, it’s never been easier to take your career with you, rather than being pinned down to a traditional office environment. As they begin to attract scaleups and big business, coworking spaces are becoming more sophisticated, which could be a good thing as we bust a few digital nomad myths. Plus the best places to stay in Las Palmas. If you still think of co-working as a bunch of millenials loafing around on second-hand office furniture, think again. Today’s co-working spaces are attracting a diverse range of startups and scaleups as well as individuals, by offering private managed offices, meeting and event facilities, ergonomic furnishings and honor cafes. As the demands of freelancers and small companies have matured, so have the spaces they want to work in. And these more organised working environments have begun to attract the attention of big business, according to a recent post on business website entrepreneur.com, which claims corporations are turning to co-working spaces and more particularly small managed offices, to house employees. It’s certainly something we’ve noticed at The (all new) House and it makes total sense. Co-working and shared office spaces can – by the very nature of their business model – be a lot more flexible than regular commercial rental procedures, which involve multi-year leases, long contracts, utility bills etc. Even large companies can benefit from using coworking or managed office spaces, to house off-shore teams, outsourced projects or simply reward top performers with a workation by the beach. And as property website Commercial Observer points out; for many startups, having the flexibility to scale up as needed and avoid the need for long term contracts is becoming a must-have option. Just as the physical environments of coworking are evolving, so are the people using them. A bunch of blog posts over the last month, written by seasoned vets of the coworking world, look a deeper look at some of the less attractive aspects of life on the road. In a sometimes hilarious piece on her blog – The Remote Nomad – Katelyn Smith gets well and truly ‘stuck-in’ to a few of the stereotypical nomad types we’ve all met on our travels. She’s pulls no punches discussing the ‘better than you’ attitudes of some nomads and her attempts to avoid them. Writing for the website Medium.com, Productivity Coach Liz Huber talks of her failure to find personal satisfaction living on the road, despite having few of the problems most of us think prevent true happiness. For Liz, true freedom comes not from having the ability to work from anywhere, but rather by removing the external dependencies that prevent us feeling free. Kicking off a new series, entitled #NomadTruths, the very excellent Digital Nomad Girls blog begins by explaining that there’s no right or wrong way to living life as a nomad and calling on readers to be truthful when describing their experiences, rather than glossing over factors like loneliness, rough travel and the never-ending search for a good wifi connection. A visa for digital nomads? Really? Estonia is to become the first country in the world to issue travel documents specifically for digital nomads. The country is rightly proud of its reputation, as a leader in the tech field, but only issues long-term working visas to people with a job offer or contract. However, as a test of its potential, from the beginning of 2019 Estonian authorities will be making around 1400 of the new visas available – on a first come, first served basis. Planning a trip to Las Palmas? Looking for somewhere to stay? If you like the sound of working in year round sunshine with a distinctly European way of life, you probably have Las Palmas on your list of must-see destinations. The administrative centre of The Canary Islands has plenty to offer digital nomads. Picture postcard beaches, breathtaking mountain ranges, a cosmopolitan city combined with an engaging mish-mash of cultures make the archipelago popular with entrepreneurial travellers from all over the world. 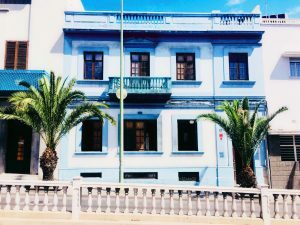 If you’re planning to visit us any time soon, check out this useful list of the best places to stay in Las Palmas, produced by our good friend Vikto Vincej, writing on the Traveling Lifestyle blog. And of course, if you need somewhere to work, be sure to stop by The House, say hello and book your free one-day trial. What to expect from life as a digital nomad, bringing up children on the road and how the boom in coworking spaces are changing the landscape of our cities. You do know that being a digital nomad will change you as a person? Right? Leading the digital nomad lifestyle is a great way to see the world. We all know that. But besides getting to explore new places, what will a life of travel and work teach us as human beings? One criticism often levelled at the ‘location independent’ work model is that for the most part, it’s a privilege enjoyed only by holders of certain passports – most notably European or North American. 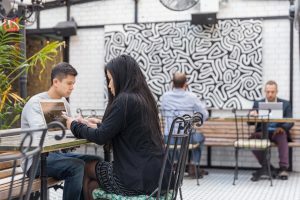 But a recent Entrepeneur.com article suggests the nomad trend is beginning to take off worldwide. Having watched the comings and goings of jobbing travellers for more than a decade, talented web professionals in countries like India and Thailand are taking their skills to the co-working spaces of the world, combining a life of travel and work. That’s a relatively simple step if you’re single, or part of a like-minded couple. But what about when you have kids to think about as well? Alyson Long – one half of the team behind the World Travel Family website – has taken that one step further. Having been on the road since 2012 her two sons have grown up in dozens of countries. Alyson’s eldest is now a teenager and – for any digital nomads with young children considering the future – the journey she, and her family, have taken over the last 6 years makes a fascinating read. In her latest post, she explores aspects such as self-schooling, medical needs, language barriers and the need for friends as her kids become young adults. The global shift to independent or freelance work, continued growth of startup companies and the consolidation of many into ‘scaleups’ is placing a big strain on commercial landlords and constructors in the world’s most popular cities. Demand for coworking spaces is at an all-time high and a recent report on news site Realty Biz News claims the move toward shared offices could be permanent. Their report claims coworking is ‘upping the game’ and creating a new level of service or amenity, which can often have a very positive effect on individual properties, the areas where they are located and the people living closeby. The challenge for property developers is to deliver both leases and properties to meet shifting demand. 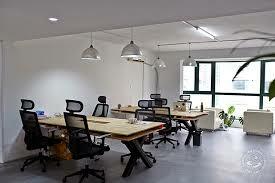 What should you consider when choosing a coworking space? 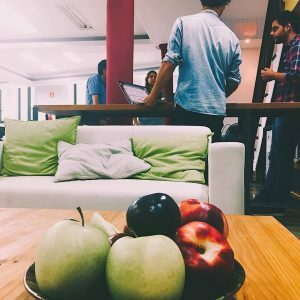 Not much, according to this recent blog on Indian coworking site Hub & Oak, which lists the 4 most important things to look for in a productive shared office environment. It may be short, but the checklist is well worth making a copy of. Planning a trip to Gran Canaria? If you are August is a great month to be here. Despite being very warm, we’re an island, so temperatures are a bit cooler than mainland Spain (where it’s hitting the high forties as I write this) and there’s always a cooling breeze off the sea. The sun is out, so every day’s a beach day and there’s absolutely zero rain forecast for a couple of months. Plus, you’ll get the chance to come and visit us in our new bigger and better coworking space – right in the heart of downtown Las Palmas. We have a large coworking area, private offices, meeting rooms, recording facilities (coming soon) and 2 awesome terraces. Superfast broadband, free coffee / water and – if you want to come and give us a try – your first day is completely free. Drop us an email, or give us a call and we’ll book you a spot. Meet the premium digital nomads doing it in style. It had to happen. The inevitable emergence of what lifestyle website Quartzy describe as the premium digital nomad and new ‘high-end’ coworking spaces popping up to house them. Rather than fleeing urban life, in favour of low-cost, great view locations, these high rolling travellers are heading back to the major cities original digital nomads sought to escape. New York, London and Tokyo top the list of hotspots for remote workers not interested in roughing it. Rosie Spinks offers inspiration on the best places to live and work once that startup you’re working on secures it’s first round of funding. Read the full article here. Is it possible to learn the digital nomad lifestyle? The Guardian think it is and are even offering a one day masterclass on acquiring the ‘freedom to work from the road and explore the world while earning a living’. Practical insights and advice on working options are promised for aspiring nomads. 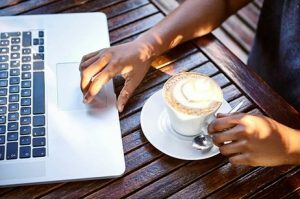 If you’re new to the world of remote working and want to get a ground up idea of what it entails, this could be the perfect introduction. 17th July is the date, London the place and more info can be found on The Guardian website here. Women’s lifestyle website Bustle has published loads of useful articles for female digital nomads and travellers. This recent post, by Suzannah Weiss, offers up a reality checklist – and a handy free worksheet – tailored to the specific issues women should consider when they hit the road. Honest, truthful and funny, Weiss sums it all up perfectly, with the line; ‘’live someplace with a low cost of living, and get a remote job from a company someplace with a higher cost of living, which will probably pay you more than you actually need where you are.’’ Read 7 tips for female digital nomads here. While you’re there, check out another of Suzannah’s posts, 9 Digital Nomads Share Their Advice For Working Remotely & Traveling The World – which pretty much does exactly what it says on the label. Everyone needs a break right? And – as most jobbing travellers will tell you – it’s not always as easy as those guys and girls with sweet remote contracts from companies back home make it look. Most of us can expect times when the work dries up and we have to go looking for our next project. Connecting with other nomads can be a useful way of finding new opportunities. Could be they run a startup in need of your services, or that the company employing them are looking for new people. Either way, if finding new work is important for your lifestyle, the Outsite blog has 5 excellent tips for leveraging the power of networking as a digital nomad. 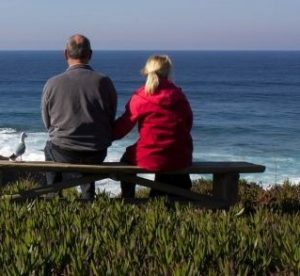 Like every good news page, we end with a heart-warming story from The Irish Times about a couple in their fifties who ‘packed it all in’ and took up the digital nomad lifestyle, funding their travel by working as translators and blogging about their experiences . This is your not your average gap year story and the couple share some really useful tips about finding the best places to stay, cheap travel and earning money from their travels. If doing something similar means a reconsideration of responsibilities and changing your mindset or you just enjoy exploring some of the Europe’s less glamorous destinations, this is a must read. Meet the Irish couple who became digital nomads in their 50s.